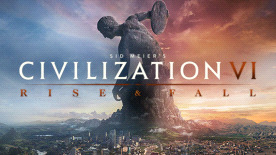 As your civilization ebbs and flows, and you reach milestone Historic Moments, you will move towards Dark Ages or Golden Ages, each providing specific challenges or bonuses based on your actions in game. Rise triumphantly from a Dark Age, and your next Golden Age will be even stronger - a Heroic Age. Cities now have individual Loyalty to your leadership - let it fall too low, and face the consequences of low yields, revolts, and the potential to lose your city if it declares its own independence. But one civilization's loss can be your gain as you inspire Loyalty among cities throughout the map and further expand your borders. Review your civilization's history at any time with the new Timeline feature, a visual journey through the Historic Moments that you encountered on your path to victory. It is possible for Mac and PC to become out of sync (which is currently the case) during updates or patches. Within this time period, Mac users will only be able to play other Mac users.